Noticing signs of mice in your house can be extremely worrying. Apart from the shock of seeing a mouse scurrying along a baseboard or lurking in a cupboard, it is disgusting to find mouse droppings or nibbled bits of food. And unfortunately, getting rid of these small pesky rodents can be very challenging as they usually come out at night and hide behind furniture, under floorboards, in wall cavities, or in the attic. However, finding the best mouse repellent for your situation will help to not only get rid of mice that have set up home on your property but will also prevent them from returning. This can be especially necessary in the fall when mice tend to look for food and warm places to spend the winter in. In fact, once a colony of mice starts living in a residential property, they may never leave on their own! There are many devices and products on the market designed to repel mice naturally. Yet, it can be difficult to know which are the best mice repellents as not all work effectively. In this review, we have highlighted some of the best natural rodent repellents that work with varying degrees of effectiveness. And hopefully, this information will help you choose a natural mice repellent to keep your family safe from these disease-carrying pests. Let’s look at how to repel mice using some natural mice repellents that are prepacked. These products can be placed in strategic areas to help prevent areas of your home becoming infested with rodents. 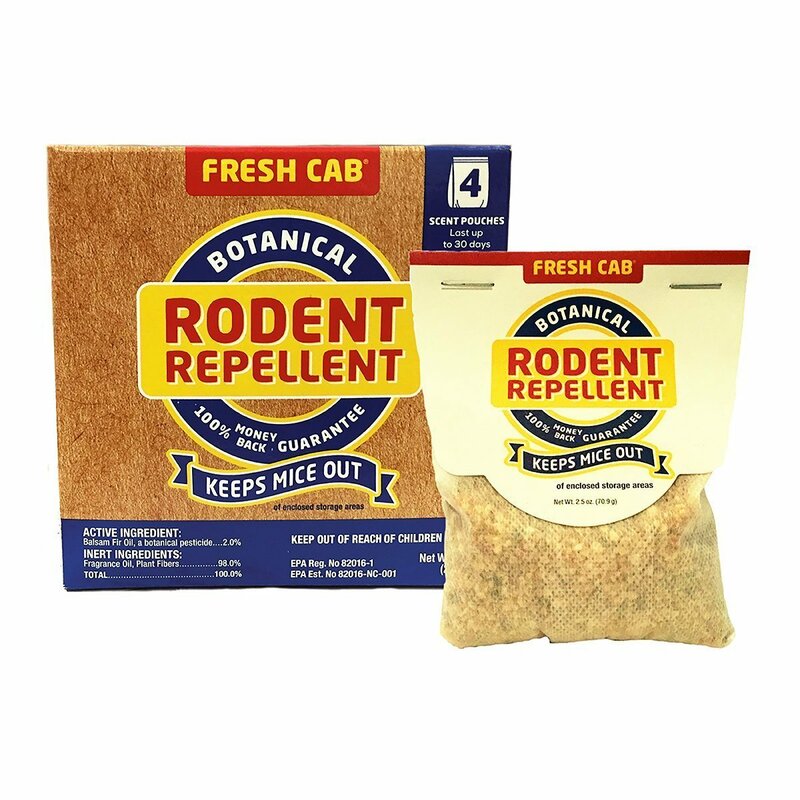 This natural mouse deterrent by Fresh Cab uses a combination of natural oils that are known to help keep mice and other rodents at bay. These repellent pouches are nontoxic to pets and children and are a humane way to repel pests. Like I mentioned before, these natural rodent deterrents contain a blend of essential oils including fir oil, rosemary, lavender, and lemongrass essential oils which means that they will keep protected areas smelling fresh and free from bad odors. One of the reasons for including these repellent pouches in this best mouse repellents article is that you can use them in almost any indoor area to keep it free from scurrying pests. These products claim to protect rooms, attics, crawl spaces, and garages from rodent activity for up to 30 days. They are also small enough to help protect hard-to-reach places from a mouse infestation. The manufacturers say that one pouch can help protect up to 125 sq. ft., which is about the size of a small room. However, if you need to quickly eliminate many mice from your property, you may need to place more repellents. These products are also easy to use and there is no risk of getting dangerous chemicals on your skin. You just need to open the container and put them in strategic locations. Dreaming Earth Botanicals pouches for repelling mice work by using the repelling action of peppermint essential oil. These pest repellents are an all-natural solution if you need to prevent mice and other pests coming into your home. You can easily place these solid pouches in any indoor area that needs protecting. Unlike the mouse repelling pouches by Fresh Cab, these “Mouse Away Solid” pouches contain just spearmint oil and peppermint oil. However, there is actually some evidence that peppermint aromas are off-putting to rodents. Therefore this product does help to keep rooms, attics, cars, crawl spaces, garages, and outbuildings mice-free. The most common use for these products is to stop mice from invading your home. 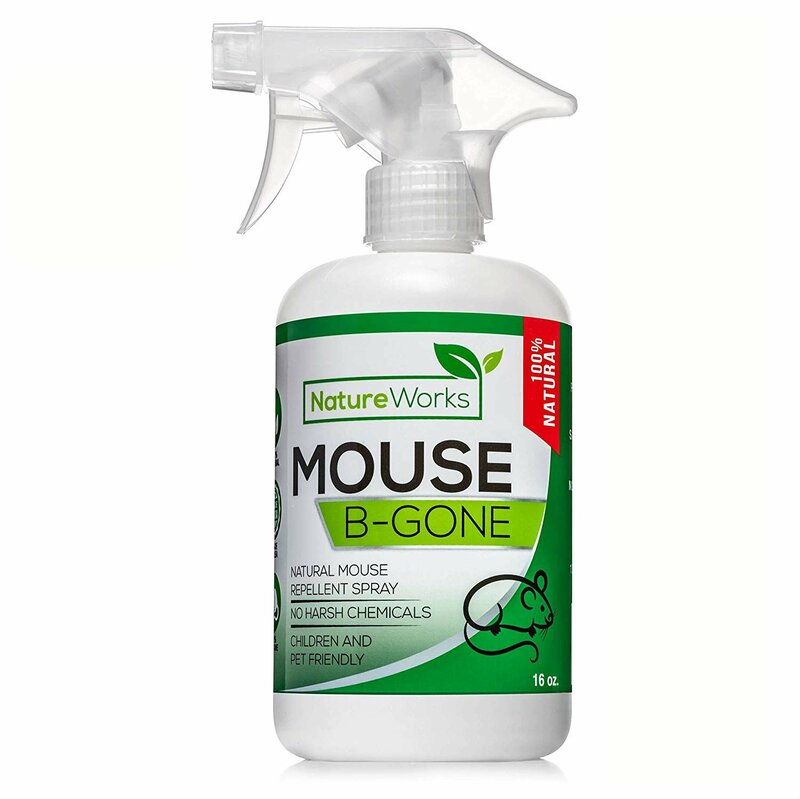 The fact that these mouse repellents are 100% natural gives you peace of mind that they won’t harm children or pets. And because they come in a solid pouch, you don’t have to reapply the repelling scent every few days or so. Many customers’ reviews say that these natural mice repellents work best in enclosed areas where there is no ventilation. It seems that this product also receives mixed reviews when it comes to its effectiveness. The volatile essential oil aromas can quickly lose their repelling ability and therefore may not do well if you don’t use them immediately. You may also need to place more of them around the home than what the manufacturer recommends to keep mice away. Another way you can help to keep your home free from mice, rats, and other pests is to use a natural spray to repel mice. Here are some of the best spray mouse repellents on the market. If you need to keep vehicles free from the destruction that mice and other rodents can cause, then choose this repellent spray by Exterminators Choice. This is a peppermint mouse spray that leaves behind an odor that mice hate. Because of that, mice should stay away from the sprayed areas. One of the reasons for choosing a spray repellent over a solid pouch repellent is that the product is more versatile. For example, you can use this all-natural, nontoxic spray, which contains a mixture of peppermint essential oils, rosemary, garlic, pepper oil, and vinegar, to protect your car’s wiring by spraying it under hoods, in the engine compartment, and around wheels. And because the spray deters mice from coming near your vehicle, you won’t also have to worry about finding dead animals in your engine. This spray is also effective against other rodents such as squirrels, chipmunks, and rats which can damage your car. One thing to consider about this peppermint spray for mice, though, is that you will need to apply the solution fairly frequently for best results. Compared to some of the other peppermint oil sprays, this vehicle protection spray by Exterminators Choice gets good reviews. Some vehicle owners say that this repellent product has prevented chewing rodents from causing a lot of expensive damage. If you want to deter mice and other small rodents from your property without worrying about using toxic chemicals, then this peppermint mouse spray may be a good option. This rat and mice repellent uses a combination of peppermint oils and spearmint oils to help protect your property. And it is safe enough to be used in areas that children or pets frequent without posing any risk to their health. One of the reasons for including this natural spray for mice in this article is that it comes in a large, ready-to-use spray bottle. There is enough spray solution here for up to 5,000 sprays and could protect up to 3,000 square feet of your property. You can also use this peppermint spray repellent to protect car engines, garages, and yard from destructive rodents. And by using this spray, it is possible to deter mice from nooks and crannies of your home as well as from scurrying behind cupboards, and nesting in hard-to-reach places. As with many peppermint oil-based repellents, this may not be effective in driving mice out of your home. Also, some users have found the spray solution to be ineffective in dealing with their rodent problem. However, the company offers a money-back guarantee if you are not satisfied with their product. 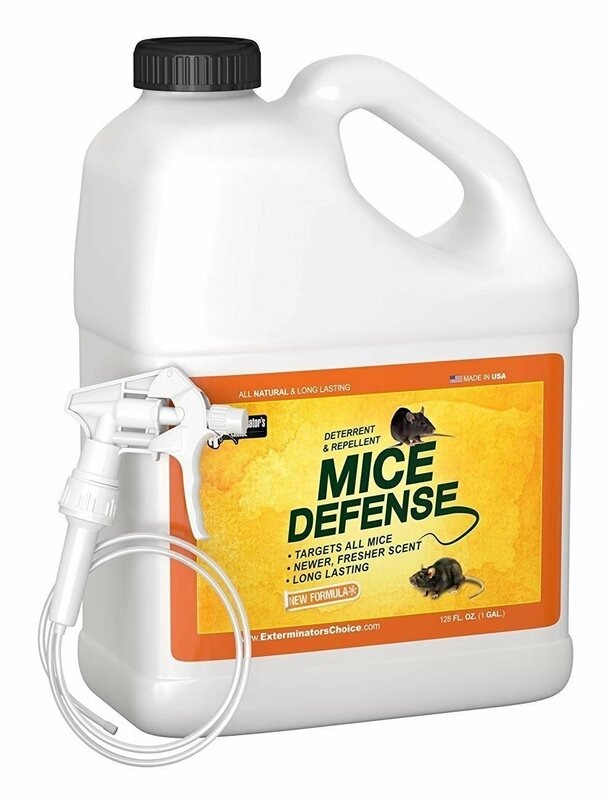 If you need to protect a large area of your property from mice and other rodents, then this 1-gallon chemical-free mouse repellent is an excellent choice. The mouse spray formula contains active natural ingredients such as peppermint oil, rosemary oil, and white pepper. You can use this spray outdoors and indoors to deter mice from your home, flower beds, garages, or outbuildings. Because this natural mouse deterrent isn’t toxic, you don’t have to worry about polluting the ground with dangerous chemicals. One of the reasons why many users choose Exterminators Choice repelling sprays is because they are designed by professional exterminators. And since this repellent spray only deters mice, not kill them, you don’t have to worry about picking up dead, disease-infested rodents from your yard. Treating areas of your home and yard will also help to prevent other critters like roaches, chipmunks, voles, and other pests from bothering you. As with most mice and rat repellents that use all-natural ingredients, users report mixed results. Some users have reported success in greatly reducing the number of mice by spraying the perimeter of their property regularly. The same users also report that the exterminator spray is good for other bugs and creepy-crawlies. However, some say that they haven’t noticed any changes in the signs of mice activity around their home. Many commercially-produced mouse repellent sprays use a combination of essential oils to scare away pests. You can also use pure essential oils to help control mice by making your own repelling sprays to ward off rodents. Here are a few essential oils that may be effective for you. Peppermint oil and mice just don’t go together. Making repelling sprays with peppermint essential oil by Essentially KateS can be a very effective deterrent. Many people buy this essential oil because it has a number of uses around the home to keep your home bug and pest-free. As well as making a natural peppermint spray for mice, you can put some drops on cotton balls and place behind furniture, in corners of attics, or in closets. One of the reasons why many try pure peppermint oil is that it is an environmentally-friendly repellent. Putting peppermint-soaked cotton balls in strategic locations around your home will help to keep mice out. However, as for all homemade peppermint oil deterrents for it to be effective against mice, the scent needs be strong enough and therefore you will need to reapply the peppermint oil solution every couple of weeks or more. You can also use Essentially KateS Peppermint essential oil to create your own bio-based mouse repellent. Because this 100% pure peppermint oil is extremely powerful, you will only need a few drops for your peppermint mouse spray. 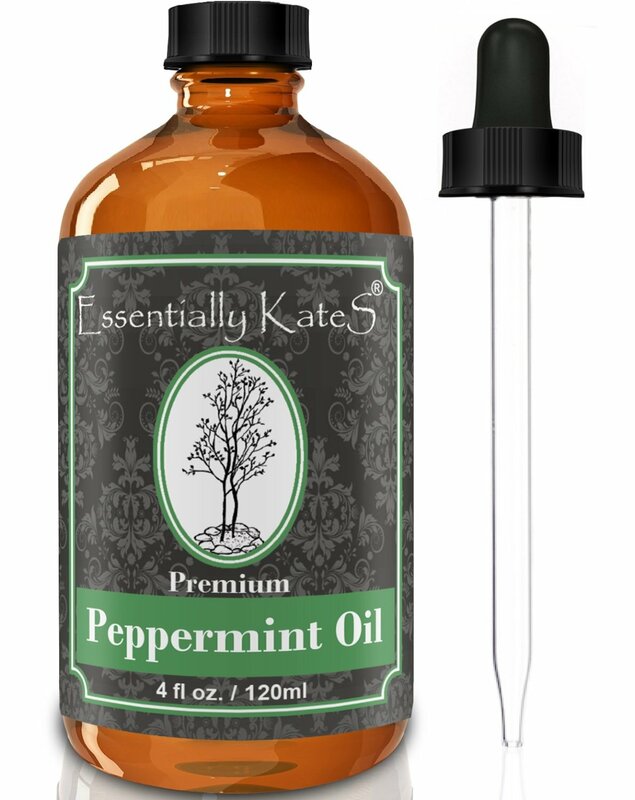 We have included Essentially KateS peppermint oil as it receives a large percentage of 5-star user reviews for its effectiveness and ease of use. What’s more, you also receive a free book on how to use peppermint oil for getting rid of spiders, moths, mosquitos, and other insects. This peppermint oil to get rid of mice works by creating aromas that mice hate to prevent them entering your property. This high-quality essential oil contains at least 10% menthofuran which is a natural rodent and insect deterrent. As with the other peppermint essential oils, you can use this to create peppermint mice-deterrent sprays or soak cotton balls in a peppermint solution. When compared to similar peppermint oils marketed as mice repellents, this First Botany Cosmeceuticals product seems to be of high quality. Potent, long-lasting aromas from peppermint oil are essential to their effectiveness. The fact that this product contains a guaranteed amount of menthofuran is a good indication of its potency as a pest deterrent. As with most natural peppermint oil mice deterrents, you will need to apply a solution regularly to protect areas. However, because this is a high-grade pure peppermint essential oil, you can adjust the concentrations to suit your needs. 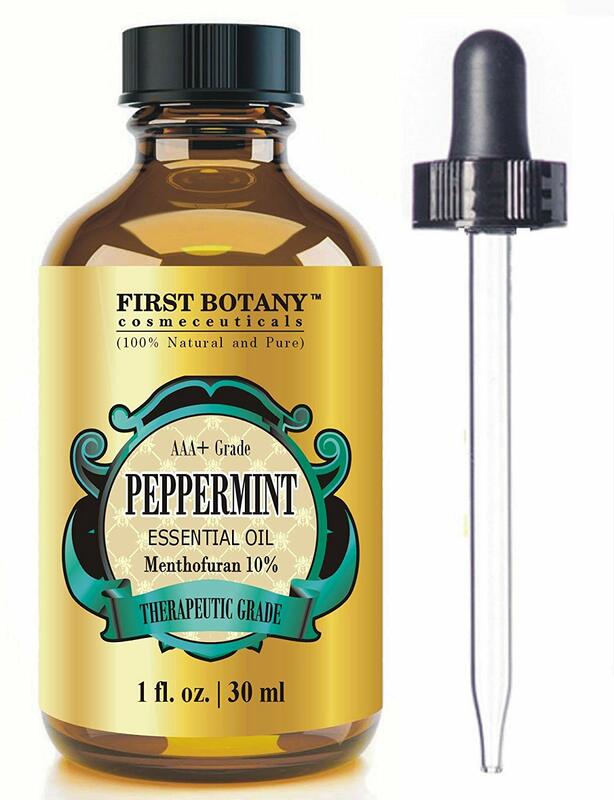 When compared to other peppermint essential oils, this product works out as a slightly more expensive product. Doesn’t kill rodents but just helps prevent them entering treated areas. One bottle only contains 1 fl. oz. whereas other products are 4 fl. oz. 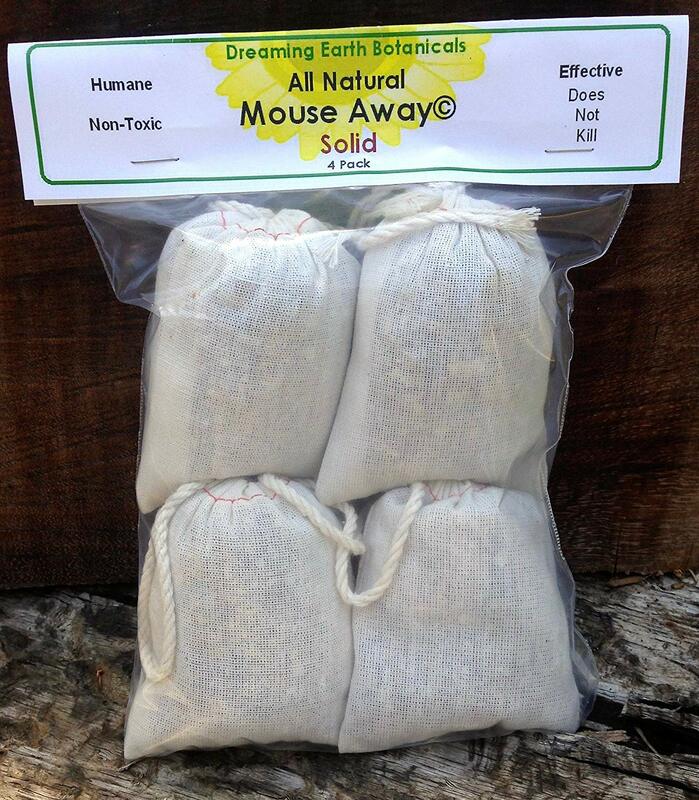 This is another natural mouse repellent that uses peppermint aromas to deter mice from your property. This essential oil deterrent for pests has been created by distilling peppermint leaves to concentrate the potent compounds such as menthol. 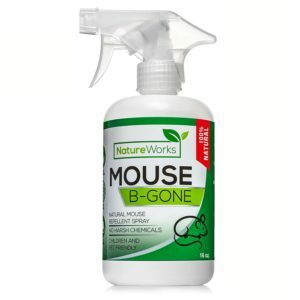 We have included Body Wonders mice repelling peppermint oil on this list of best mouse repellents as it is a cost-effective rodent repellent. If you have to treat a large area of your home to keep it free from mice, then the cost of peppermint oil can become an issue. To keep mice away, you need to soak cotton balls in a peppermint oil solution and reapply frequently. As with all peppermint oil repellents, spraying areas with a peppermint solution will also leave rooms smelling fresh. When compared to the other peppermint essential oils on this list, this Body Wonders product may not be as good quality. The product received more negative reviews than the other peppermint oil mice repellents. Many homeowners who need to keep mice away from their property prefer to use ultrasonic mice repellers because they are easy to set up and use. If you are looking for a way to repel mice with the minimum fuss, then this rodent repellent may help to keep mice away from your yard, home, and garages. This high impact mice repeller by TMC uses mouse repellent noises, sound waves that humans and pets can’t hear, to irritate mice and prevent them coming near. 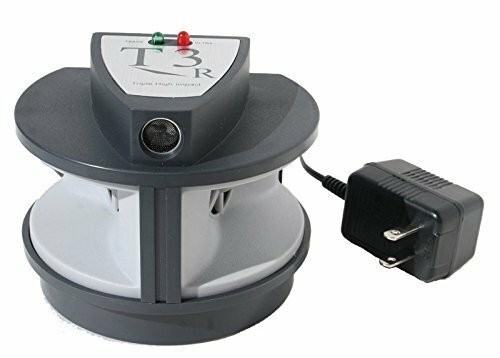 One of the reasons why this device ultrasonic mouse repellent works better than some of the other electronic repellers is that it sends out sound waves in 3 different directions. Rather than having multiple devices plugged in, you should be able to keep a large area free from small rodents with one device. The unique feature with this product is the “T3R” technology which varies the ultrasonic sound. This helps prevent mice and other rodents getting used to the annoying soundwaves. According to the manufacturer, one of these units is strong enough to protect up to 6,000 sq. ft. Although some users report limited results with these rodent repellent units, many have had good success in keeping homes and gardens free from pests. Also, compared to other units that emit rodent repellent sounds, one unit covers a larger area. Ultrasonic repellents aren’t scientifically-proven to work for rodents, squirrels, and other small mammals. There are different types of products that are designed to keep mice away from your property. Many people choose nontoxic repellents that either scare mice away using ultrasonic sound waves or leave odors that confuse or repel mice. Each of these types of natural mice repellents have their own advantages and disadvantages. The best types of natural mouse repellents use peppermint oil as their base repelling odor. Some of these products come in ready-to-use containers and contain other ingredients to increase their effectiveness. Other natural mice repellents are just basic essential oils that have a number of uses, including using them in an essential oil repelling spray. One of the drawbacks of using natural sprays is that their effectiveness is not always guaranteed. For example, essential oils tend to evaporate quickly. This means that if you don’t reapply the solution regularly, your rodent problem may return. However, because these natural sprays don’t pollute the environment, they are the best choice for many people who want an eco-friendly solution to their rodent problem. Peppermint sprays for mice are generally safe to use if you have pets or young children in the home. These plug-in units generate sound waves above the limit of human and most pets’ hearing. One of the reasons why many homeowners try these units is because they require little maintenance. First of all, you need to identify areas where mice could inhabit or frequent and then strategically place the electronic rodent repellents to prevent mice from coming near. Among the main complaints of these ultrasonic repellent devices is that they are not always effective. It seems that mice may get used to the sounds emitted or prefer to put up with the noises rather than risk moving outdoors. Although some people like to keep mice as pets, no homeowner wants to have mice invading their property as uninvited guests. Many natural mouse repellents are not suitable for getting rid of an already-existing rodent infestation. However, all the undesirable pests are gone, mouse repellents can help to keep the mouse populations to a minimum. Using the best rodent repellents will also help to keep you and your family safe from disease. A worrying study in 2018 found that many mice carry pathogens that are resistant to antibiotics. Scientists have found that mice can carry bacteria such as E. coli, C. difficile, and Salmonella. Some of these infections, if left untreated, can even be deadly. Essential oils. These are extracts from plant leaves, flowers, bark, or roots that contain volatile oils. Usually, the oils are extracted by distillation and contain highly-concentrated compounds with a strong aroma. Repellent. Repellents are designed to keep pests away without causing physical damage. Trap. A device to catch an animal or rodent. Traps can be used to kill rodents to limit their numbers or catch them humanely to be released away from the home. Ultrasonic sound waves. Some repellents emit high-frequency sound waves higher than 20 kHz, meaning that they don’t affect humans. What is the science behind the use of peppermint aromas to scare away mice, rats, and other rodents? It is thought that there are a number of mechanisms why peppermint oil gets rid of mice. Some people claim that its strong aromas mask pheromone trails. This can help to disrupt the signaling methods rodents use to communicate. There is also some scientific research on rodents that peppermint oil aromas act as a natural deterrent. For example, researchers found that rats tend to stay from areas treated with peppermint oil. Natural repellents using peppermint oil were seen as a more ecological-friendly way to control rodents and protect the environment. However, it has to be noted that no studies have been carried out on mice specifically. When deciding to use peppermint essential oils to send mice scurrying away, it is important to remember that the aromas of essential oils can evaporate quickly. This means that natural rodent sprays are only short-term deterrents. There is also the chance that peppermint sprays just move a mouse population to another area of your property. So, you should protect multiple areas of your property to ensure mice stay away. Mice repellers that work on the principle of ultrasonic waves are designed to target the nervous system of mice and rats. The effectiveness of ultrasonic devices to keep buildings and properties free from pests may have some use. Research carried out by the University of Nebraska-Lincoln say that ultrasonic repellents don’t cause harm to the environment. They work by generating ultrasonic pulses that humans and most pets can’t hear. Ultrasonic rodent repellents are limited by the fact that the further the sound has to travel, the weaker it becomes. What Other Types of Mouse Repellents are Available? Apart from ultrasonic mice repellent units and peppermint mouse sprays, there are a number of other mouse repellents on the market. Some websites promote the use of mothballs for eliminating mice from your property. However, these contain potentially-harmful chemicals and are not effective outdoors. Other repellents such as ammonia, castor oil, cayenne pepper, or tarragon only have limited use and probably won’t resolve your mouse infestation problem. What Should You Do if Natural Mouse Repellents Don’t Work? 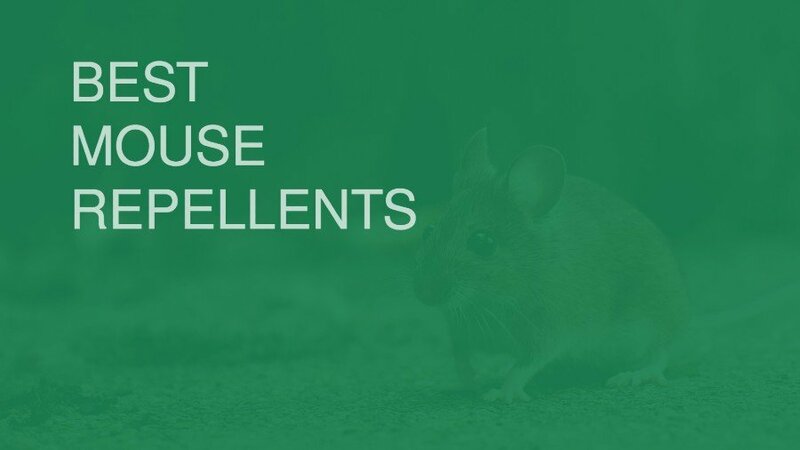 It is good to remember that natural mouse repellents aren’t effective at killing mice or getting rid of them from your property. Once mice have set up home in a warm environment where there is an abundance of food, it can be difficult to get rid of them by natural means. To deal with a large infestation of mice, you may need to call a pest control expert to remove the rodents from your home. Once this is done, you can then use a combination of repellents to prevent mice from returning. However, for your efforts to be effective, you must stop up all entry points where mice can get into your property. If you are looking to buy the best rodent repellents, what should you look for to control mice? One of the essential factors to look for when choosing the best ultrasonic mouse repellents is the type of pest you want to get rid of. Some repellers are designed for insects and bugs, whereas others are better for small rodents. It is also good to remember that not all units are as effective for mice as others. In fact, very few scientific studies back up the claims of ultrasonic repeller manufacturers. So, it is also important to read users’ reviews as to their effectiveness. When looking for the best natural sprays to repel mice, then most repellents are peppermint oil-based. You should think about if you want to buy a ready-to-use spray formula or make your own spray using peppermint essential oil. Also, it is important to see how well users rate specific spray repellents as some may be stronger than others. Seeing signs of a mouse in your property means that it is time to take measures to get rid of the pest. Noticing droppings, shredded materials, gnawed holes, or hearing mice scurrying are warning signs that action is needed. However, keeping mice out of your property once you have got rid of them can be a challenge. For example, did you know that a standard mouse can squeeze through holes the diameter of a pencil! Knowing something about the behavior of mice can also help keep your home mouse-free. Mice use ultrasound to communicate and they can hear up to 90kHz. This is why some people choose ultrasonic devices to protect their home from these tiny rodents. Mice can also climb vertically up to 2 meters and have been known to chew through electrical wires. But, knowing that mice like to travel along edges of walls and units can help you know the best places to place repellents or mice traps. The best way to use repellents to keep mice as far away from your property as possible is to use a combination of strategies. For example, you can use peppermint oil sprays to protect specific areas of your house where you have found evidence of mice. If you know where mice have entered the property or have created nests, natural repellent sprays can help prevent mice returning to those areas. At the same time, ultrasonic devices can an additional a layer of protection that should help to keep areas of your home free from rodent activity. However, even many of the best electronic rodent repeller reviews say that it is important to deal with a rodent infestation before using repellents in your home. Knowing how to repel mice effectively and naturally takes a measure of determination and planning. Mice can be very difficult to get rid of, especially if it is cold outside and food sources are scarce. Because mice carry diseases and can cause destruction to your property, it is essential to keep these pesky creatures out of your home. Some of the best ultrasonic mouse repellent reviews recommend TMC Pest Repeller. This because the unit uses ultrasonic waves that have a high impact on mice activity. Many users also report good customers service if they found that the device didn’t work for them. There seemed to be little difference in the effectiveness of the peppermint essential oil mice repellents. All peppermint essential oils have a wide range of use – everything including rodent repellent to aromatherapy. However, the KateS peppermint essential oil seemed to be the most potent and received a higher proportion of positive reviews. Compared to the solid repellent units, the natural rodent sprays were more effective as they were more versatile. For example, it is easy to make your own solid unit to get rid of mice by spraying the natural defense spray on cotton balls, floors, or other hard surfaces. From the reviews of the 3 mouse repellent sprays, Exterminators Choice Mice Repellent seemed to be the most effective product.